Convenience chain shoppers: This is typified by people wanting speed and high quality. Prices tend to be the highest this way, but some people cut prices by using coupons and taking advantage of sales. This appeals to busy households, and those not wanting to become coupon queens or multi-store shoppers. Coupon shoppers: These folks know the skills of couponing well, and often go to more than one chain store. Going this way, you’ll develop some real skills and know how, and in time will grow a stockpile of free or deeply discounted items. The time spent to do this each week amounts to earning $50 per hour. Quick-mart shoppers: These folks shop at quick-markets and eat a lot of fast food. Sometimes this is the main market for people living in tough inner-city neighborhoods, or those that have few kitchen skills. Organic store or specialty store shoppers: This appeals to those who value and can afford this the most highest priced of all grocery store options. Trader Joe’s, Earth Fare, Wild Oats and many more. Big-box buyers: High product value, quantity and selection appeal to these shoppers at Costco and Sam’s Club. Prices are good, but it is easy to impulse spend and over-eat. Bargain market grocery shoppers: This appeals to people who value price over the best selection or product. 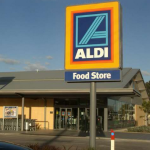 Bargain grocery stores like Aldi, Marc’s, and Save-A-Lot compete in this market. The Great Recession of the preceding decade stagnated or lowered people’s incomes. Healthcare and gasoline compete for their share of budgets, and with high food costs, more and more people are shopping at these bargain food outlets. I have had people tell me that they are embarrassed to shop there, but this image is going away. Their stores were once viewed as only a place where the poor would shop, but now we see people who only used to shop at large grocery chains there. 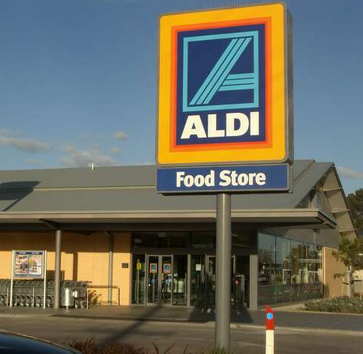 Aldi announced plans that they are increasing U.S. stores by 50% over the next 5 years to meet this growing trend. We shop there each week, because it is a good part of our food saving strategy including couponing. The food quality is mainly good, although selection is limited, we can get by. Some things I actually like better than other stores. For example, their store brand cheddar cheese has good flavor, and is much better than the no-taste low cost Sargento that Walmart markets. Remember to bring your own bags, since they don’t have any and your bag your own. Lastly, don’t forget your quarter! You need a .25 cent piece to insert into a slot to obtain a grocery cart.